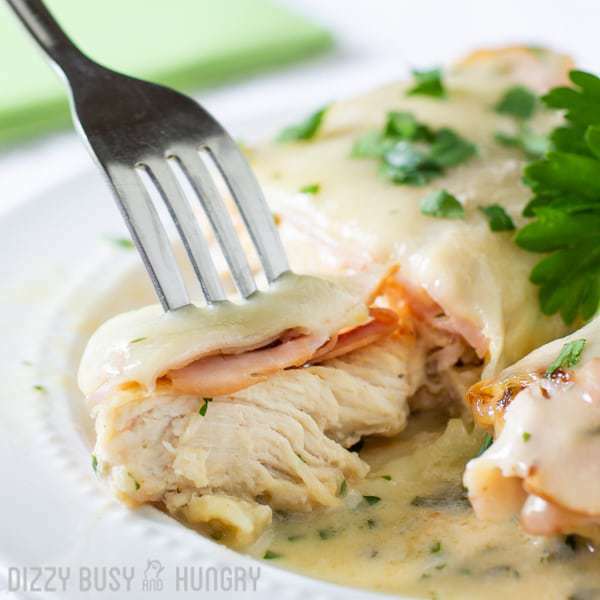 One-Pan Chicken Cordon Bleu | Dizzy Busy and Hungry! I love easy chicken recipes, especially when they result in a tasty dinner that the whole family absolutely loves! And it doesn’t get any easier or more delicious than this chicken cordon bleu, made in one skillet and ready in 25 minutes or less! 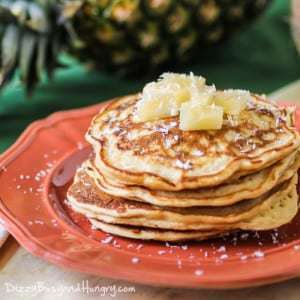 Don’t miss out on the giveaway… you could win a copy of the cookbook featured in this post, as well as a $50 Amazon gift card! So, I have some exciting news! 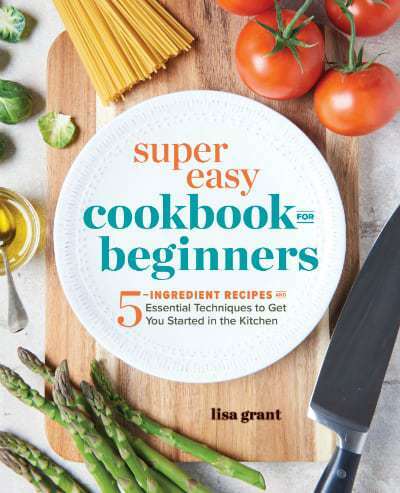 My beautiful friend Lisa, who blogs over at Jersey Girl Cooks, has her very own cookbook, Super Easy Cookbook for Beginners, coming out on August 14th. I had the opportunity to review an advance copy, and I have to tell you, I am SO excited about all these recipes! While the book is directed toward beginner cooks, it really is a great resource for anyone who loves easy recipes with 5 ingredients or less. So this is perfect for busy parents as well, or really anyone who loves to eat but doesn’t want to spend a whole lot of time food shopping and preparing meals! Not only that, there are tons of tips and techniques in the book, which will help build skills for any budding cooks, or just serve as good supplements for those of us who have been cooking for a while but maybe never picked up on some of these tidbits. There really is something for everyone in this book! 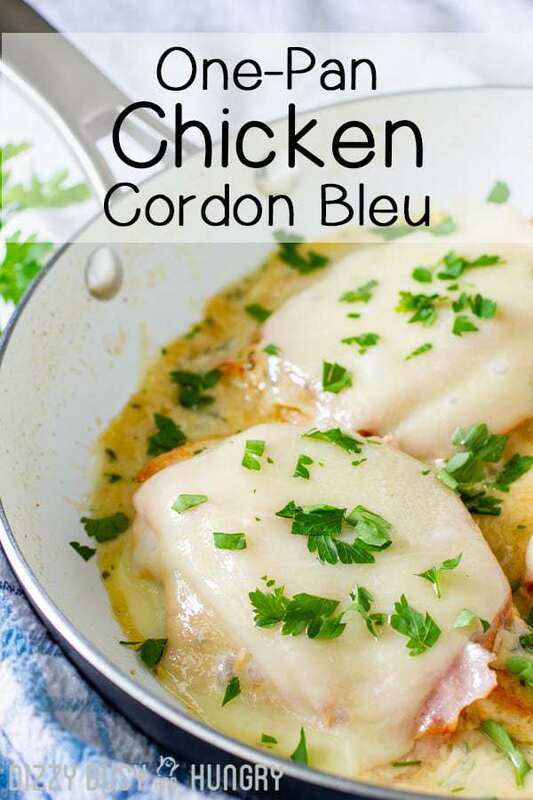 I wanted to share this recipe, One-Pan Chicken Cordon Bleu, from the book with you, because I tried it and it is AMAZING. So yummy! Even Thing 2 had to admit that this was an outstanding dish! I love how Lisa simplified this dish by eliminating all the fussy details in the traditional presentation, such as rolling up the ham and cheese with the chicken and applying a bread crumb coating, yet all the deliciousness is preserved. In all honesty, however, the absolute BEST part for me was the easy cleanup. 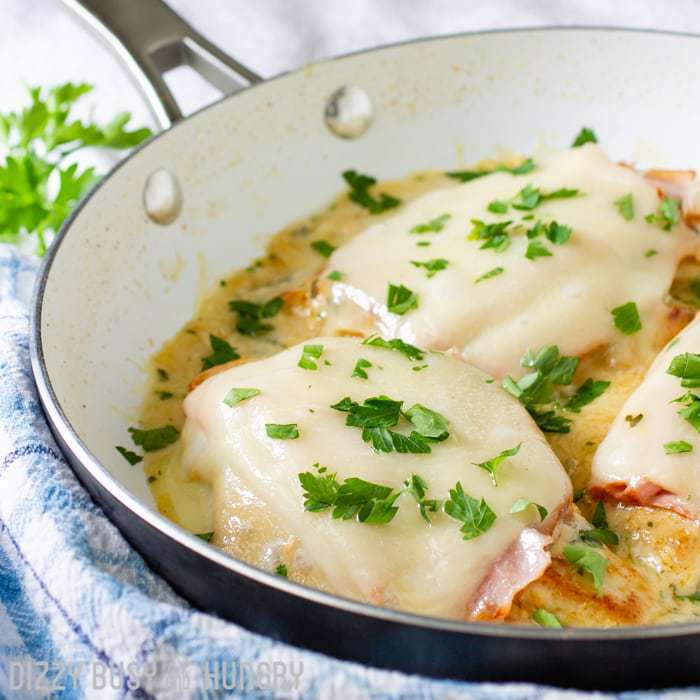 This chicken cordon bleu is prepared using ONE SKILLET. No other pots or pans are involved! And from start to finish, it only took me 20 minutes to get dinner on the table. WOOHOO! Need I say more? I think not. You need to make this chicken dish! 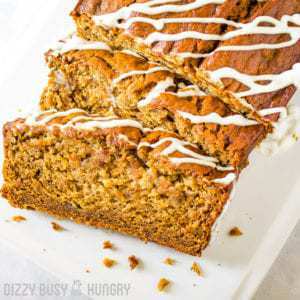 AND, you need to get this cookbook for lots of other easy, delicious, family-friendly recipes. Enter via the form at the bottom of this post to win a copy (US residents only) and a $50 Amazon gift card! 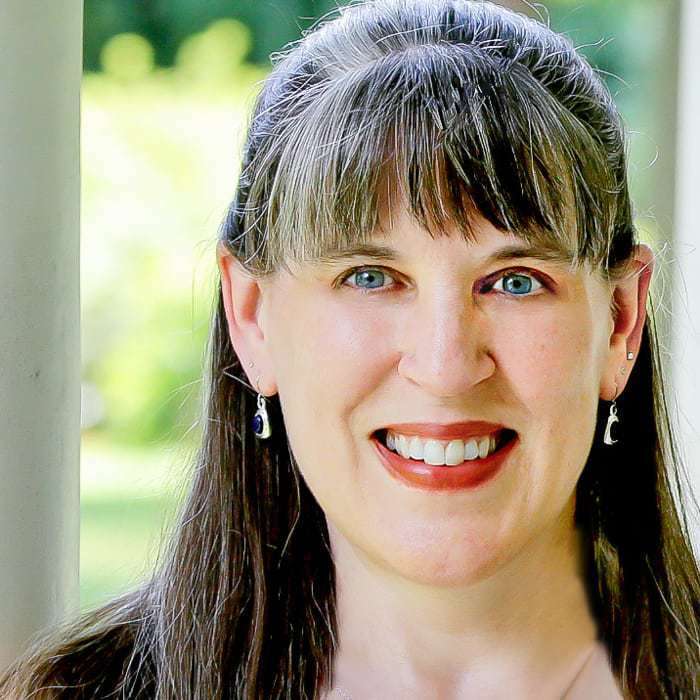 I hope you win, but if you don’t, you can always pop over to this Amazon page for Lisa’s Super Easy Cookbook For Beginners, so that you can go ahead and order one for yourself. 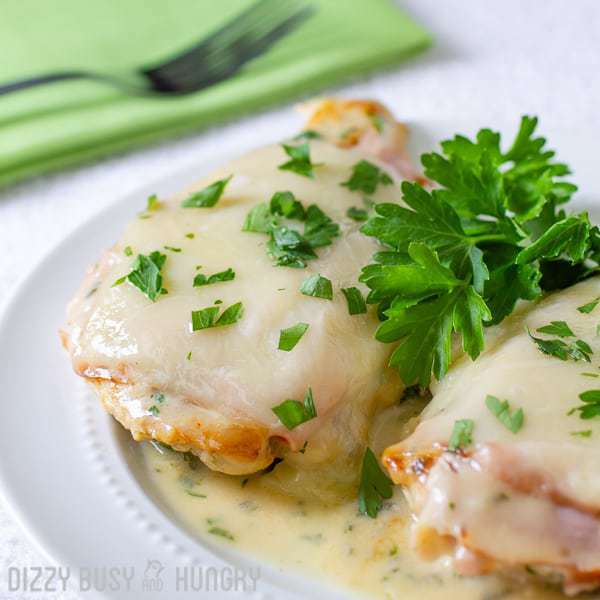 An easy and delicious chicken dish that the whole family will love! Sprinkle both sides of the chicken with the seasoned salt. Heat enough olive oil to coat the bottom of a large skillet over medium heat. Add the chicken and cook for 2 to 3 minutes on each side, or until the chicken is golden. Remove the chicken from the pan, reduce the heat to medium, and add the chicken broth, half-and-half, and dried parsley to the pan. Scrape the pan with a spatula and stir well to deglaze. Cook for a few minutes, until the sauce starts to simmer. Return the chicken to the skillet and spoon some sauce on top of each piece. 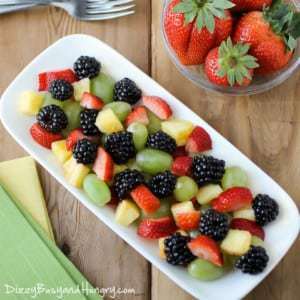 Top each with a slice of ham and a slice of cheese. Cover the skillet with a lid and cook on low for 3 to 4 minutes, or until the cheese melts. 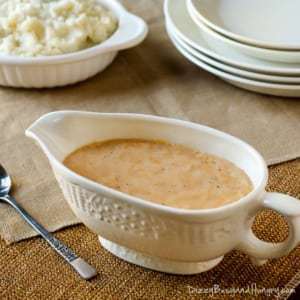 Serve the sauce with the chicken. Simple swap: Substitute your favorite type of cheese for the Swiss cheese. 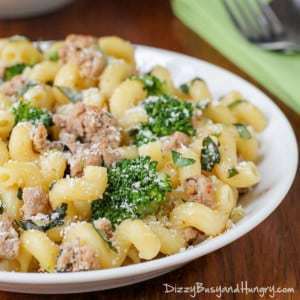 This dish is good with mozzarella, provolone, or white cheddar cheese. If you are looking for other easy chicken recipes, you should check out my Baked Breaded Lemon Chicken, which has a bright, lemony flavor and a crispy breadcrumb coating, and is also super-easy to make. 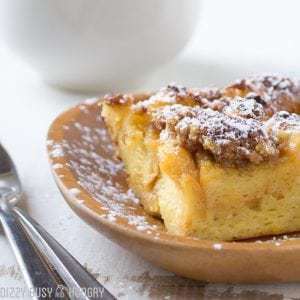 Another chicken family-favorite is my Chicken Potato Bake, which consists of potatoes tossed in garlic and olive oil and baked to a golden brown with tender, juicy chicken thighs. But, if I had to narrow it down to one chicken dish that my family continuously requests, I would have to say my Chicken Pot Pie wins every single time. 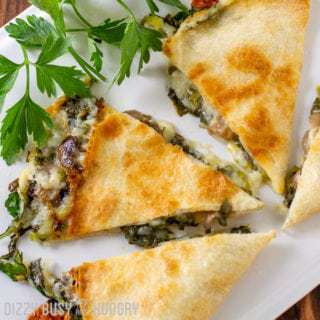 Filled with veggies and a creamy sauce and sporting a flaky crust, it uses simple ingredients and is ready in 35 minutes. Definitely pop any of these suggestions on to your list to try soon! 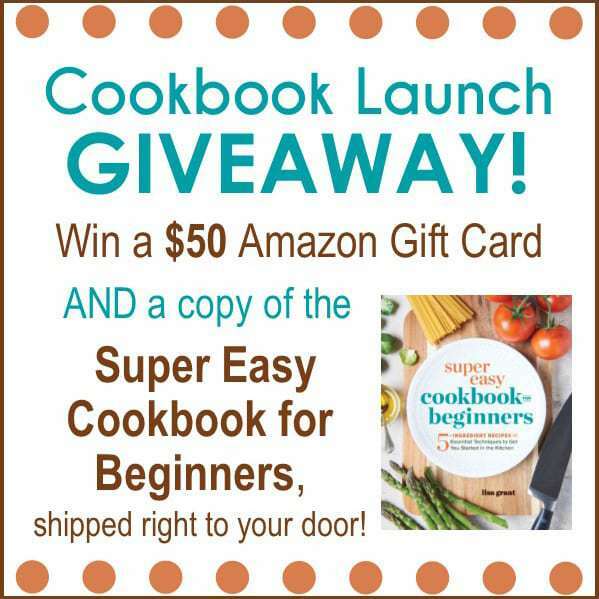 Would you like to win a copy of the Super Easy Cookbook for Beginners? Complete this form to enter the giveaway!! 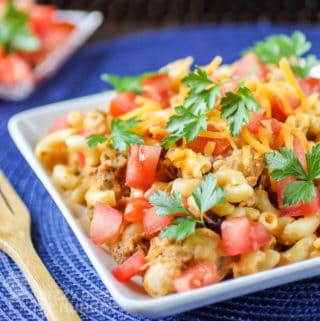 I made this recipe tonight and it was yummy! 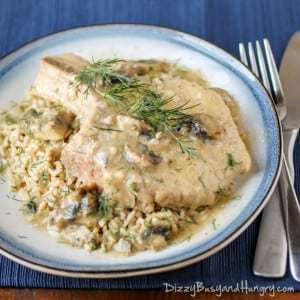 Perfect for a quick weeknight meal and fancier than just plain chicken. I served it with broccoli and baked potatos. My husband loved it. Congratulations on the feature at To Grandma’s House We Go. 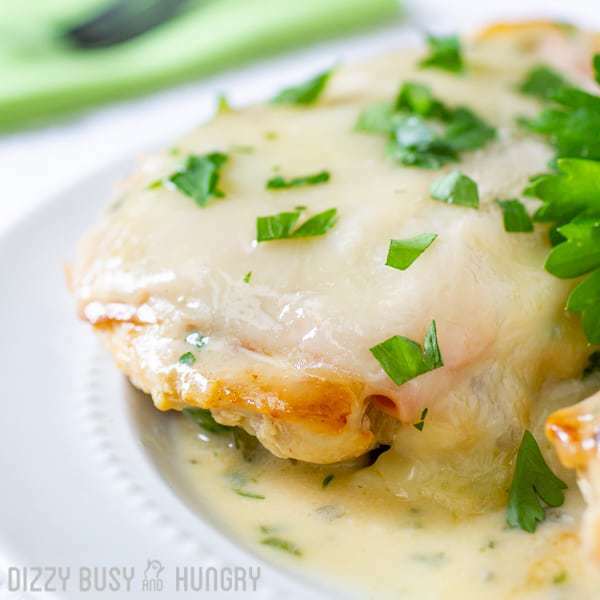 This chicken cordon bleu looks fabulous! 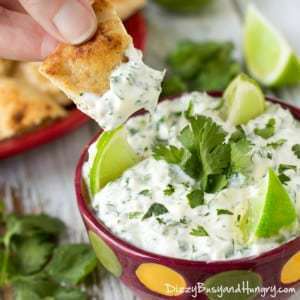 Only 25 minutes and this great recipe is ready! That is a blessing for me. 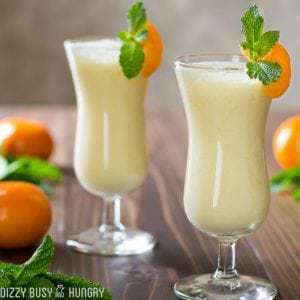 Very nice recipe and instructions. And I really liked the bonus snack recipe video, thank you! 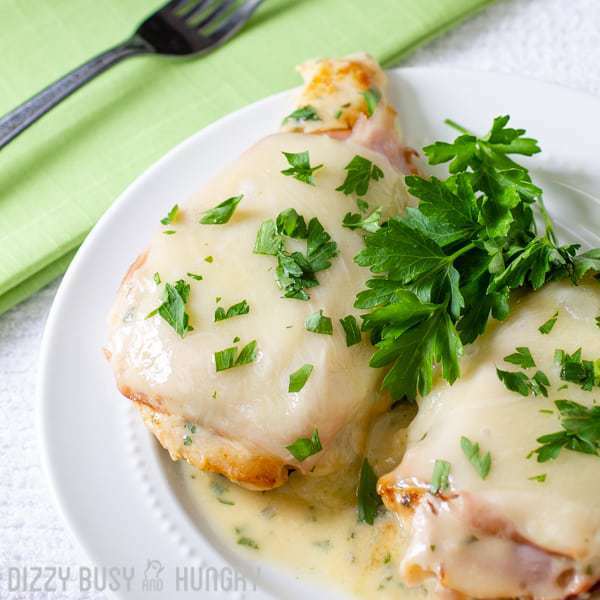 We will love your Chicken Cordon Bleu, it looks delicious! Hope you are having a wonderful week and thanks so much for posting with Full Plate Thursday! I’ve never made chicken cordon bleu – in part because I always assumed it was fussy and time-consuming to prepare, but I’m so glad to learn that that doesn’t need to be the case! This looks positively mouthwatering. Thanks for sharing it with us at Fiesta Friday! I’m not a beginning cook, but I’m always looking for quick, easy recipes. 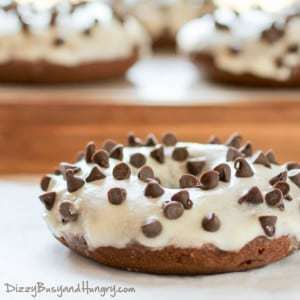 I’m going to try this recipe tonight. I love this simplified version of a real classic. Thanks for sharing it with us at Fiesta Friday. OOOO, that sounds so yummy and so simple! I love simple meals. Pinned.